Lena the numbat knows every sound and smell in her territory. This morning she hears footsteps through the undergrowth and a distant beeping sound. Ranger Brian is heading her way. Somehow, she is connected to this man. Could it be something to do with the ring-thing around her neck? Ranger Brian holds his antenna high. Lena is being evasive. Her signal is constantly changing direction. But he must catch Lena today. The batteries in her tracking collar are about to lose their charge and without the radio link she may be impossible to find again. This is Brian’s third attempt to catch Lena, if he is not successful today, five years of crucial data gathering will come to an end. Lena is one of only a thousand numbats left in the wild. She is active during daylight hours; an extremely rare habit for a marsupial. Her diet is also unique. She eats termites, termites and more termites – up to 20,000 a day. Lena is special among numbats. 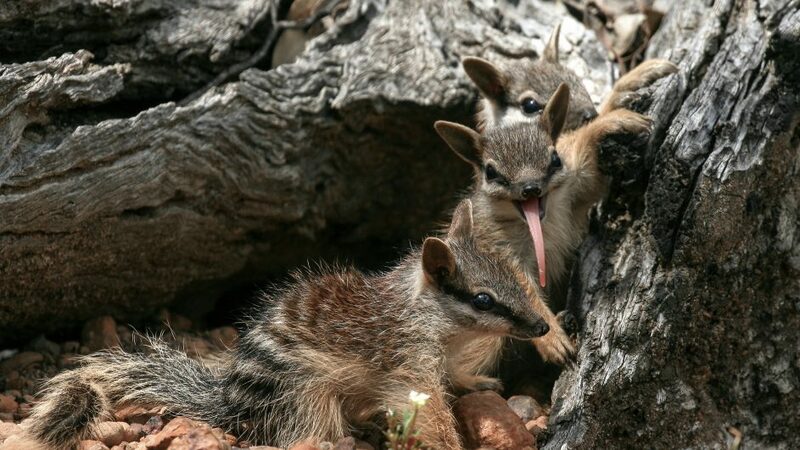 Since she started breeding four years ago, she has raised fifteen babies to adulthood; a record for the wild numbats of Western Australia. This season’s young are already venturing far from the nest. But in the night, in the woodland, there is danger. Another carnivorous marsupial has sniffed out Lena’s burrow and it finds numbats very tasty! On a windswept-island floating in the azure Indian Ocean, a cute little mouse-sized dibbler pulls grasshoppers apart with needle-sharp teeth. The dibbler was thought to be extinct. This is the first time it has been filmed in the wild. And in the tropical forests of far northern Australia the stealthy, cat-like Northern quoll looks down from a boulder onto its unsuspecting prey – a toad. But this particular toad is deadly! The secret lives of the predators with pouches are about to be disturbed.